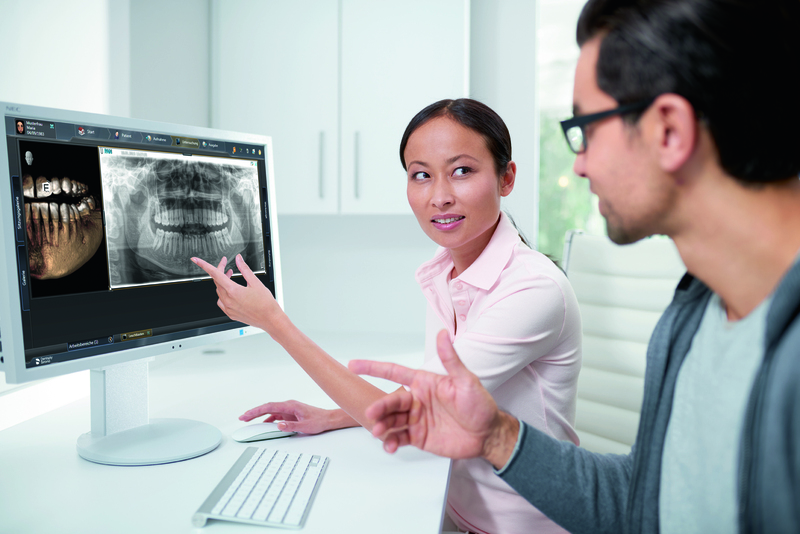 While traditional X-ray systems still manage highly aggressive radiation emissions, Digital X-ray systems reduce the radiation emission up to a 98% of what is needed for traditional X-rays. This results in a minimum, safe and environment friendly process, especially since there is no need for chemicals and film paper to be used and disposed. Traditional Film X-rays are required to be subjected to a chemical process in order to obtain the final image; this process can take from 5 minutes up to 15 minutes per X-ray session, meaning that by visit you will accumulate (in average) from 20, up to 40 minutes lost in processing this films. 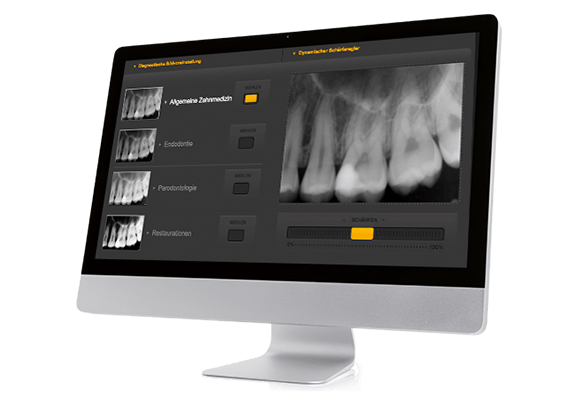 With Digital X-rays you can save all this time, giving the opportunity to reduce your treatment timings up to 1 hour, reducing tiredness and anxiety. Traditional X-ray systems require uncomfortable procedures in order to be performed properly: using heavy lead bibs on each exposure, biting down on papers that can cause jaw cramps, cutting edges of the x-ray inside the mouth, all this ends up in great discomfort. 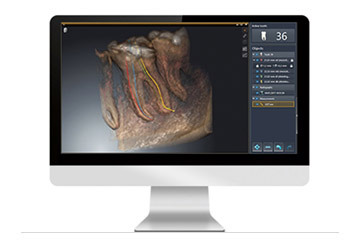 Digital X-ray systems eliminates the hurting film x-rays and replaces them with a sensor which goes connected to a computer via a thin wire and it can be moved within your mouth to different locations in order to capture additional images. The heavy lead bibs are also eliminated on most of the Digital X-ray processes, resulting in a far less intrusive procedure, and making it more comfortable for patients. 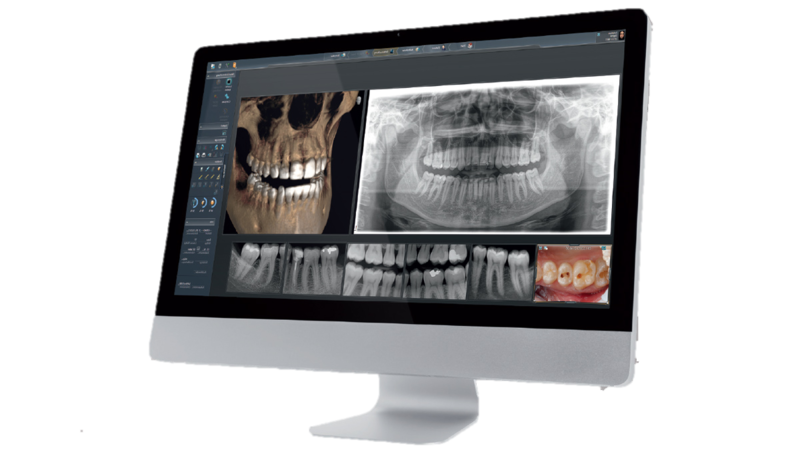 Putting aside the previous mentioned benefits of using Digital X-ray systems, another important advantage, for both doctors and patients, is that the images are easier to resize, either larger or smaller, based on the needs without distorting the graphics and quality of the image. This avoids losing important details found in the original image and providing patients the opportunity of easier understanding of each case.